Make hold the attention of someone and give them fun, to have someone over as a guest, or to think about something. Take a vacation with family, friends, or bussiness partner. An important or influential person. Social gathering in which a group of friends and relatives meet monthly. Meetings, Incentives, Conferencing, and Exhibitions. A party of former associates who have come together again. 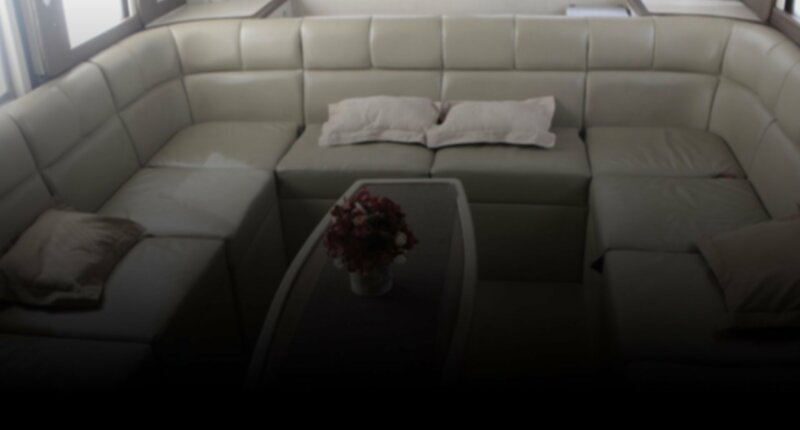 Weha One luxury bus is designed to provide the top level of quality vehicles with professional service. 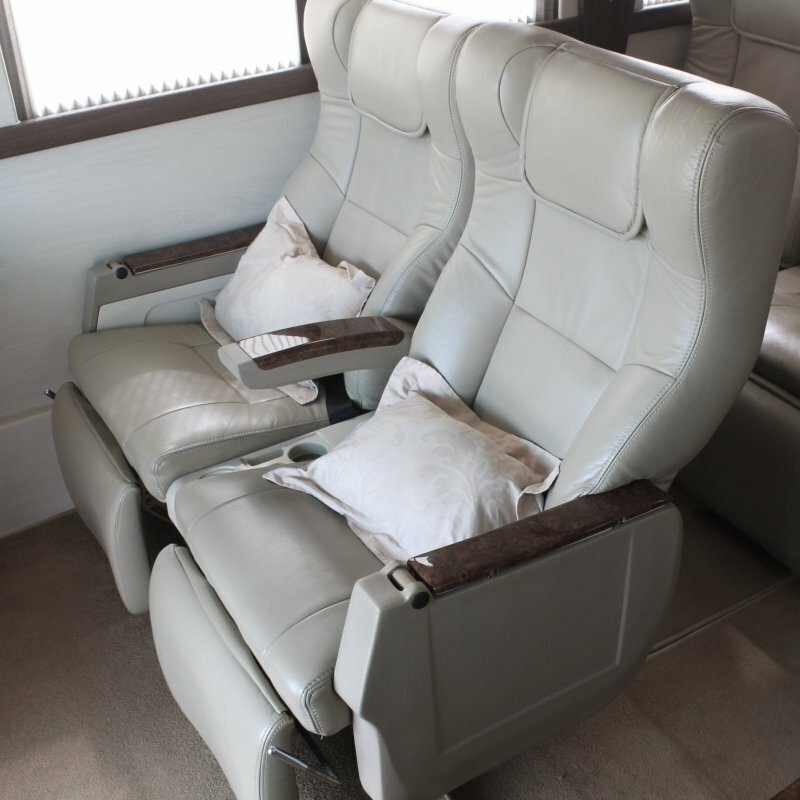 Weha One equipment with 15 deluxe leather aircraft stye seat and plenty of legroom, and personal flip-down table. DVD with multiple LCD TV monitors and stereo sound system with CD player. 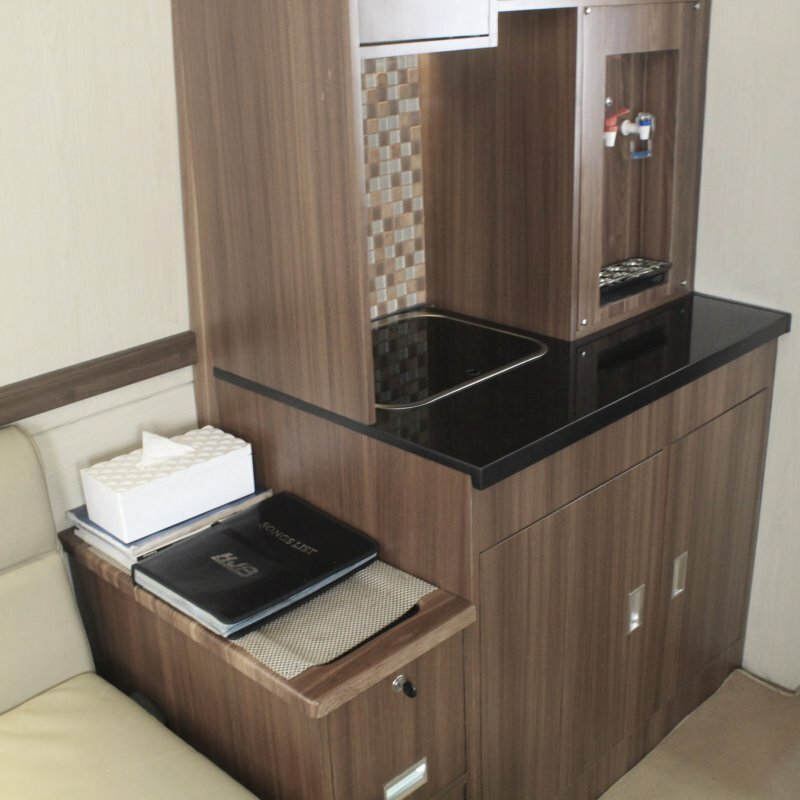 Pantry with refrigerator, dispencer, sink, and coffee maker. 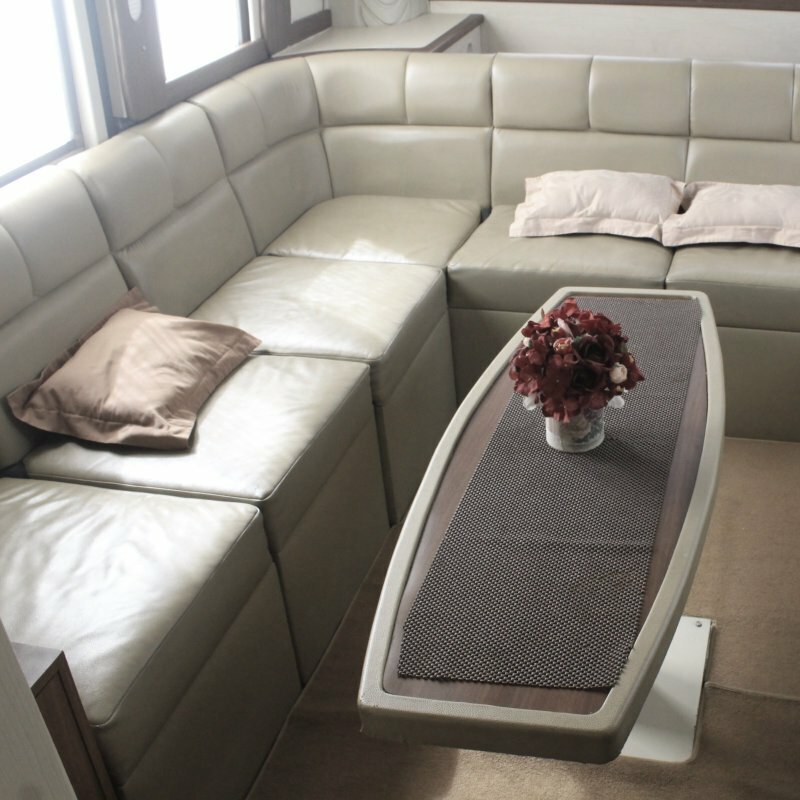 Meeting room with rounded coach and table. Big LCD TV and microfone. 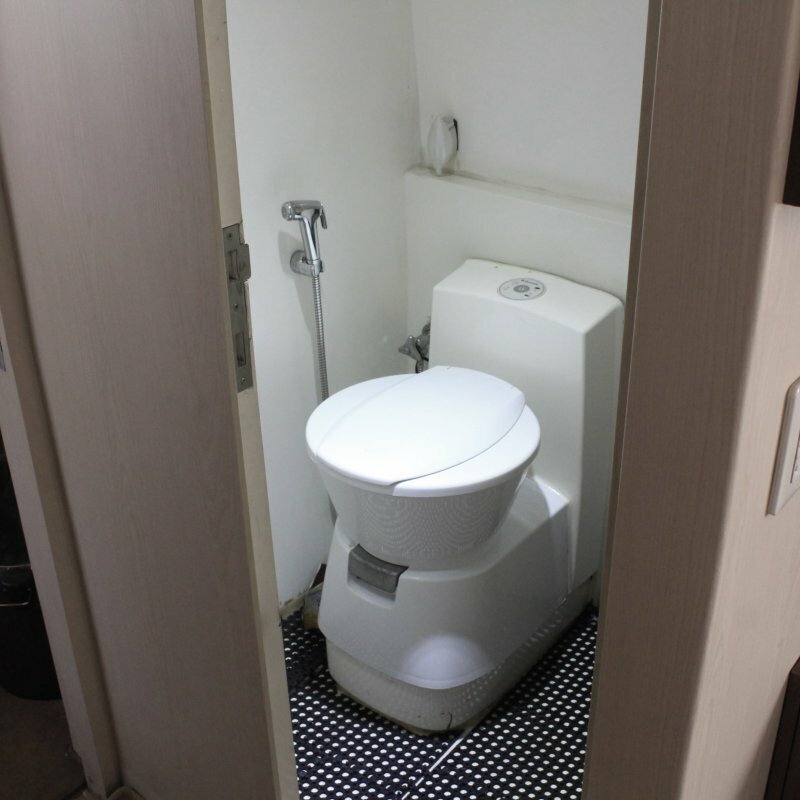 Clean toilet with closet, sink, and clean water crane. 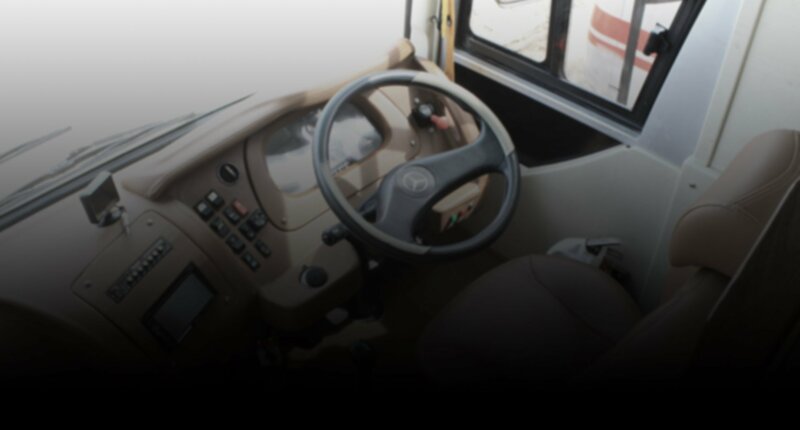 Weha One is designed to provide the top level of quality vehicles with professional service. 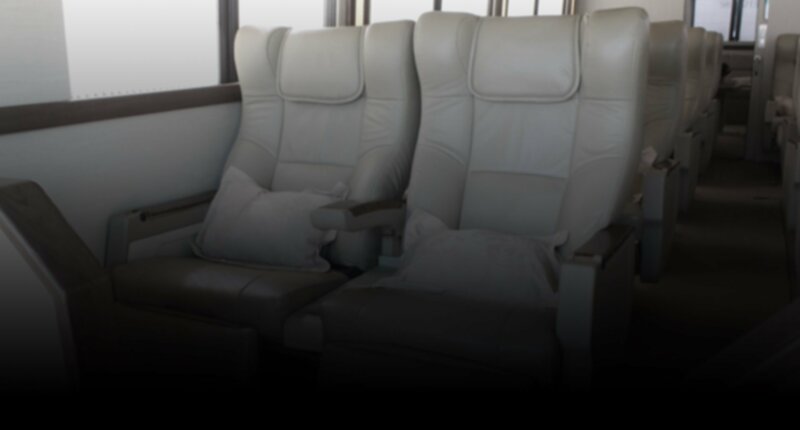 The renowned class of Mercedes Benz Couch, equipped with 15 deluxe leather aircraft style seats and plenty of legroom, personal flip-down table, and many more experiences. So we can take you on a stylish and glamorous travelling experiences.